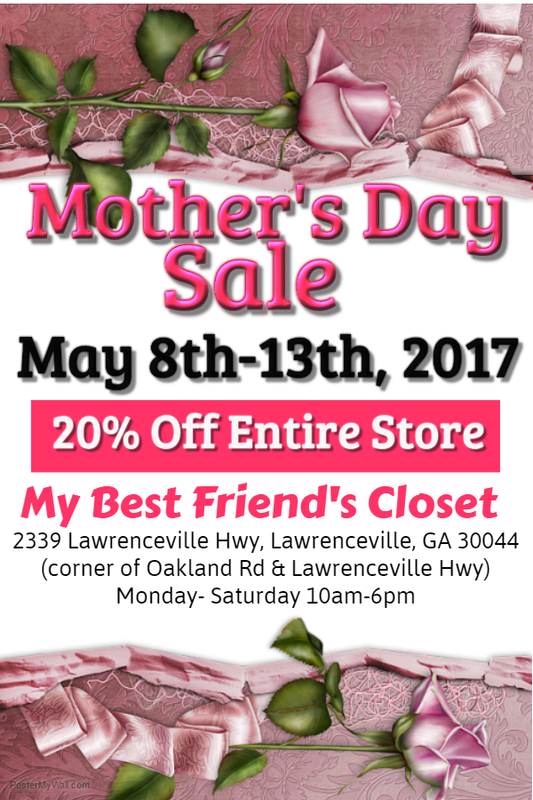 Save an additional 20% off the entire store when you shop My Best Friend's Closet Consignment Mother's Day Sale. Shop in store 2339 Lawrenceville Highway, Lawrenceville, GA 30044. Monday- Saturday 10am-6pm.